KAHMANDU, Jan 15: Maghe Sankranti is a Hindu festival which is celebrated in the beginning of the auspicious month of Magh. This festival is also known as Makar Sankranti or Uttarayana. The celebration of this festival is supposed to bring an end to the ill-fated period in the religious circle occurring in the month of Poush (9th month of Nepalese Calendar) when celebrations of festivals are forbidden. This day is also believed to be the coldest day of the year and is celebrated as hope for the spring season. Maghe Sankranti is the festival of the Sun God, who is regarded as the symbol of power, dignity, and wisdom. This festival is especially observed by the communities like Newar, Magar, and Tharus. In this day, Hindus take the ritual bath in the early morning on the holy places all over the country. The bath is made generally in tribunals (Triveni - the place where three rivers meet). Shankhamol, the bank of Bagmati river in Patan, Dolalghat, Baraha Kshetra, Ridi, The Sachi Tirtha at Trivenighat (Panauti) and many more. People worship shrines of Load Vishnu by performing pujas and reading the sacred book of Bhagwat Geeta which is also known as “Song of God”. 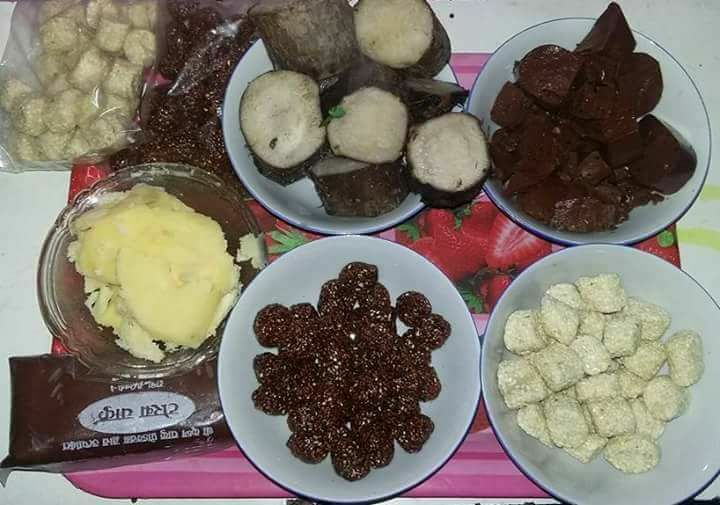 Also, certain auspicious foods like til laddoos (Sesame seeds ball cakes), Chaku (Molasses), ghee, sweet potatoes, khichari (the mixture of rice and lentils), Yam’s Curry and spinach are served as the special food of Maghe Sankranti.It is believed that having such food items helps us to become healthier and warmer during cold weather. The Kirat community also celebrates this day as “Yele Dung” as their New Year. In this day Kirat King Yalambar invaded the Kathmandu valley and started his reign.